In addition to encouraging you to play with the community, a special version of Pikachu will be available for capture. Niantic recently announced the launch of Pokémon GO Community Days, a new monthly event where trainers can head out to local parks within their area and play Pokémon GO together. During each of the Pokémon GO Community Days, players will have the ability to find and catch special Pokémon. The first event begins January 20th from 11 a.m. (PST) until 2 p.m. (PST). The Pokémon up for grabs? A version of Pikachu that knows the move Surf. To help you capture “Surfing Pikachu” during the first Pokémon GO Community Day, Lure Models will last a full three hours, and everyone will benefit from bonus XP. 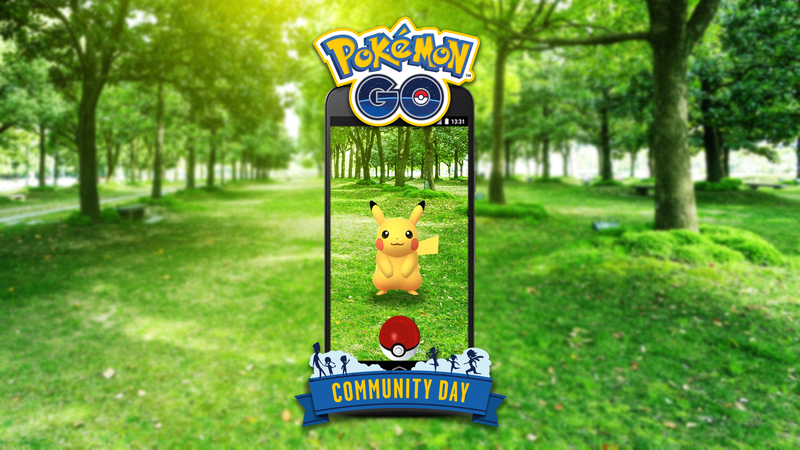 For more information on the new Pokémon GO Community Days, be sure to check out the official Pokémon GO website. In the meantime, what do you think of Niantic’s latest addition to the game? Are you planning on participating? Let us know down in the comments below!